While Firefly won’t return via Kickstarter, another popular sci-fi franchise could get a second lease on life. Farscape creator Rockne S. O’Bannon says that the Veronica Mars model could be used to revive a feature film based on the series. So, would you like to see the crew of Moya come back for a theatrical film? And would you support it on Kickstarter? 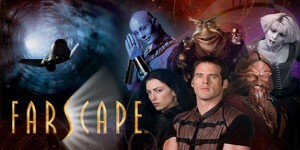 Farscape Finally Coming to the Big Screen? That would actually be pretty cool, but I don’t know if it would get the complete backing of everyone involved. Show ended much too soon. Farscape is my all time favorite sci-fi series…would love to see it back in whatever form…preferably a new series but if it’s only a movie I’ll take it. 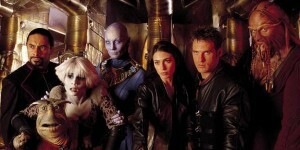 I would just like to see the original episodes of Farscape return to SyFY. They repeat everything else, why can’t they show us these? This show NEEDS to come back, especially if it were in a movie format. In my opinion the comics did a pretty good job in exploring life in the Farscape universe after the Peacekeeper Wars, as well as some background on Dargo, Zhaan and Pilot. Some of the comics were kind of WTF!?!? but if they are looking for stories or material to work with, the comics would be an awesome place to start. I understand that economics played a part in the end of the Farscape comics, but I wasn’t very please how they ended it, but on the other hand, they way they DID end it leaves plenty of room for interpretation and creativity. but it would be absolutely fabulous to see that world again… It could easily be done! Farscape was something different to look forward to every week, a distraction. 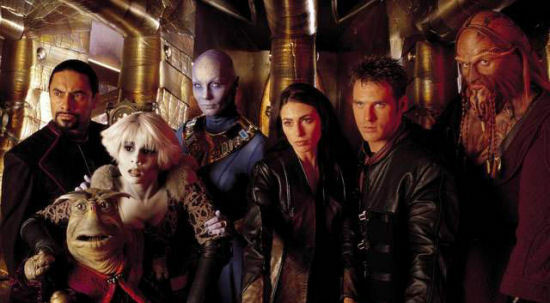 from life and nothing has even come close to replacing Farscape since it left our screens. While there are talks of another movie in the air I think this is an appropriate time to get their attention and make another push to restore that little luxury to our television screens. Especially now there is a whole new generation to fall in love with Farscape. Star Trek returned because of the fans…..perhaps we should try again!!! I would so be down with this Farscape by all accounts was the last great Scifi series before all this vamp and werewolf stuff took over. We need fantasy that fuels our imagination. It was at the heart of the Henson company. Farscape was a true testament to what can be accomplished. Great actors and the characters they played. This series went away to early. I want to come back as other do. I would support both with my voice and my wallet the return of the greatest sci-if series ever. The cancellation of this show was like losing a friend. Please please bring this world back to life on the big screen, the TV, anything just bring it back. Too right, amen to that. Please bring farscape back its the show me and my dad would sit down and watch every night together we where so mad when it got canceled and I hope and pray one day it will come back so me and my dad can sit down and watch it like the old days i miss those moments the most Farscape was the best science fiction show there was and i could really go for more of it so would my dad. I would so love for that to happen and thus I would prefer it be a series I would support any way. It was a like the death of a friend when the series was pulled. There so much worse programs on the air now. And Farscape was the best si-fi series ever. PLEASE bring Farscape back. I just watched the entire series on Netflix and now all caught up and ready to be indulged again. Farscape is by far one of the better written science fiction shows ever made. The mix of drama, wonder, action, and just plain craziness makes it extremely fun to watch. 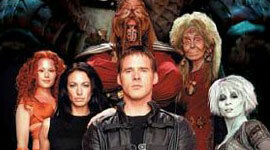 The world needs farscape back! Please bring back farscape as a series with the original cast. Please please please. I couldn’t stop crying when it was cancelled and it still lives on in my memory. The worst thing is that Ben Browder is an amazing and versatile actor, why is so underrated?